Looking for Drug Addiction and Alcoholism Help? Welcome to this drug addiction and alcoholism help website. If you’ve landed here I certainly believe you’ve arrived at the right place to gain the knowledge and information you need to understand and overcome alcoholism or drug addiction ... whether it be you personally struggling with the problem ... or whether it's someone you love and care about deeply. My name is C-P Lehmann and addiction is something that was a part of my life for as long as I can remember. I had an alcoholic parent, so I was exposed to the pain and devastation alcohol can cause, from a very young age. Having seen what that did and how it almost destroyed our family and a person I loved dearly, I swore I would never let that happen to me. But there was something inside of me I just couldn’t control – and soon enough I developed my own problems with drugs and alcohol. Developing a problem with alcohol or drugs isn’t something you choose. It’s something that overwhelms you before you even realise. And once it has you in its grip - life very quickly turns into a living, real nightmare – which often spirals totally out of control, sometimes even tragically ending in death. I was lucky – I escaped the nightmare. And if you’re reading this, I think it’s a sign you want to too. So whether it’s you suffering from an addiction – or someone you love – I hope you’ll find that this website provides you with all the help, advice and information you need. Help Me! I'm in Love With an Addict: How to Survive a Relationship With an Alcoholic or Drug Addict is our most popular resource and will explain exactly what you need to do if you're married to or in a relationship with an alcoholic or drug addict and are desperate to do something about your situation. Likewise, Help! My Child Is An Addict will guide you through the minefield of having a son or daughter that abuses drugs or alcohol and what you can do to help them. If you have a question to ask - pop into the Drug and Alcohol Addiction Q & A Forum where you can Ask A Question about anything troubling you, whether it be you personally messing up your life, or someone you love is doing so - and we'll do our best to answer you promptly. It's also a good area just to browse around to find out the kind of questions others are asking - because you might learn something from their experiences. Tell Us Your Story in the Stories Section - where you can share how drugs or alcohol have affected you or someone you love. If nothing else, at least stop by to read the mixture of heartbreaking and inspiring stories others have courageously shared - and take a moment to show your support by leaving an encouraging comment. You’ll develop an Understanding of Alcoholism and Drug Addiction - by finding answers to the What is Alcoholism and Addiction question, the Causes of Drug Addiction and Alcoholism, the controversial Alcoholism Disease theory ... and how addiction evolves through the various Stages of Alcoholism will complete your knowledge and understanding. You’ll also be able to Recognise a Substance Abuse or Dependency Problem in yourself or someone you love by finding out what the Symptoms of Alcoholism and drug abuse are – and you can then even take a highly accurate diagnostic drug or Alcoholism Test that will give you a very accurate idea as to whether you or a loved one has a genuine problem. Maybe you’re interested in the Greater Impact Alcohol and Drugs Have on Society. Then these Facts About Alcoholism and drug abuse will prove to be enlightening, as will the Effects of Alcoholism and drugs on our minds and bodies - with both articles ultimately providing you with various frightening facts and statistics. Understanding how to Effectively Treat an Addiction to Alcohol or Drugs is critical – so I suggest you spend plenty of time in the Drug and Alcohol Addiction Treatment area – as well as find out as much as you can about what Drug and Alcohol Rehab involves, including how to find a good rehabilitation center, which you can do using our Featured Rehabs facility. The Recovery Area is probably the most important part of the website because it’s all very well getting successfully treated for alcoholism or drug addiction - whereas staying in recovery and maintaining a life of sobriety is something you have to work at for the rest of your life. 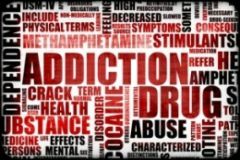 With that in mind you should also look into what a a 12 Step Program involves – as well as my Addiction Recovery Toolbox which are my tips for resources that will help you recover from a a substance abuse problem faster than anything I have seen. If it's a loved one struggling with drugs or alcohol – The Family Area is the place for you because you’ll find plenty of helpful advice and information there. Whether you’re Married to an Alcoholic or Drug Addict – or have a child struggling with Teenage Drug Abuse or alcoholism - these are just a sample of the crucial topics covered. Living With An Alcoholic is probably one of the most difficult things imaginable to have to deal with - and knowing what to do or how to handle the situation you're faced with is absolutely critical. So be sure to read the article in depth. So as you can hopefully tell – there is enough drug and alcoholism help based information and advice to keep you busy for a while. There’s the saying about knowledge being power – but I don’t think that’s entirely true. Knowledge only become power once you apply what you have learned. The secret lies in taking action - one small step after another. Because that's how miracles happen! 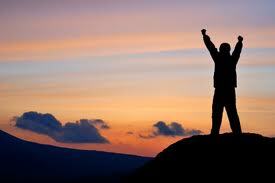 Never lose faith that you or a loved one can successfully recover from alcoholism or a dependency to drugs. I and millions of others are living proof of that. So make the decision today that you’ll do whatever it takes. I believe in you – and know you can do it. And if you own a website or blog - please link to us. It's really easy. At the bottom of each page is a 'Share This Page' block. Just click on the 'Enjoy this page? Please pay it forward. Here's how ...' link - and that will give you the code to simply copy and paste.